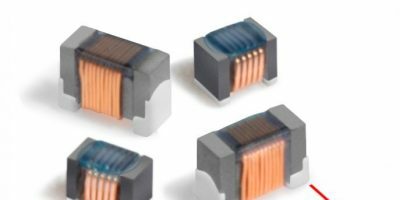 Wirewound ferrite beads in standard package sizes from Coilcraft are claimed to offer superior attenuation and frequency performance for smaller product sizes compared to traditional thick film chip ferrite beads. Coilcraft offers the beads in standard package sizes from 0201 (0603) to 1812 (4532). Ferrite beads are used as low pass filters to eliminate high frequency noise while allowing low frequency signals or DC current to pass through a circuit. Coilcraft’s wirewound ferrite beads feature a ferrite construction and heavy gauge wire for high current handling. They provide extremely low DCR, says the company, while maintaining high filtering impedance across a wide bandwidth to enhance the performance of the choke circuit while potentially reducing board space by replacing a larger chip ferrite bead with an equivalent, or higher-performing wirewound ferrite bead. Coilcraft offers 11 families of wirewound ferrite beads, all of which are RoHS-compliant and halogen free. Three models (the 0603LS, 0805LS and 1008LS) are qualified to AEC-Q200 Grade 3 standards (-40 to +85 degree C ambient), making them suitable for automotive and other harsh environments.